You’re driving along some stretch of I-93, or meandering through a trail in the White Mountains, or strolling through one of the hundreds of small towns scattered throughout the state, and you’ve noticed something that made you wonder: What’s up with that? No matter what you’re wondering, we want to know: What questions do you have about the Granite State? Send us yours, and we might be able to track down an answer. Large or small, silly or serious — all questions are welcome. And, chances are, yours could end up sparking a pretty interesting follow-up investigation. Sometimes the best stories are hiding in plain sight. What Questions Do You Have About Wages in NH? Help us decide what story to tackle next in our "Only in New Hampshire" series. 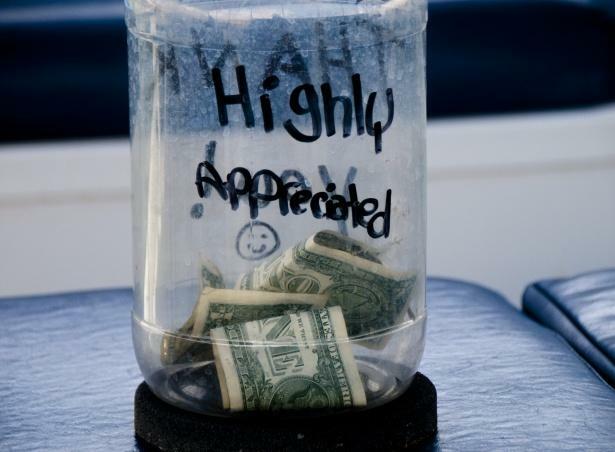 We're looking for your questions about wages. Wondering why our minimum wage is lower than in our neighbor states? What the wage gap looks like in New Hampshire? The impact of seasonal employment? Why your wages haven't gone up? Only in New Hampshire is your place to ask questions about the state we all call home. Submit your questions below. 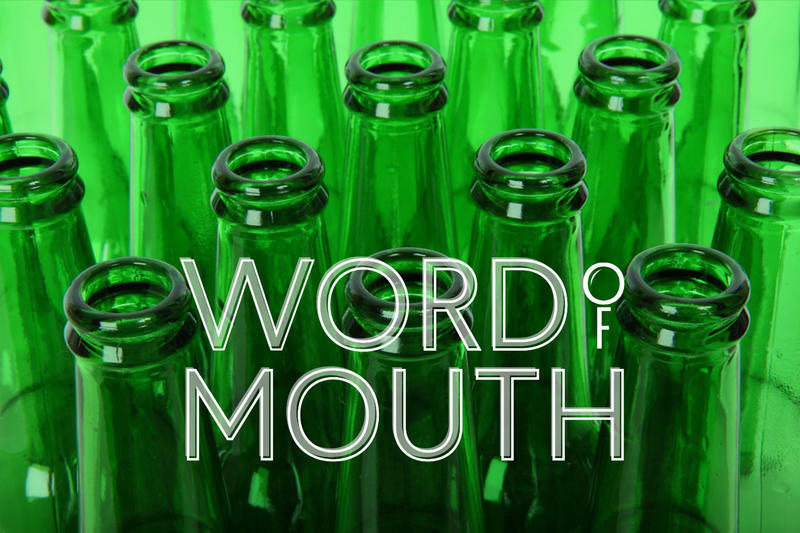 We'll start reporting the story in October for an upcoming episode of Word of Mouth and our newscast. What does that list of state abbreviations on your beer bottle mean? And why didn't New Hampshire make the cut? On today's show, we dig into the decades-long fight for, and against, bottle deposit laws -- in New Hampshire, and across the country. 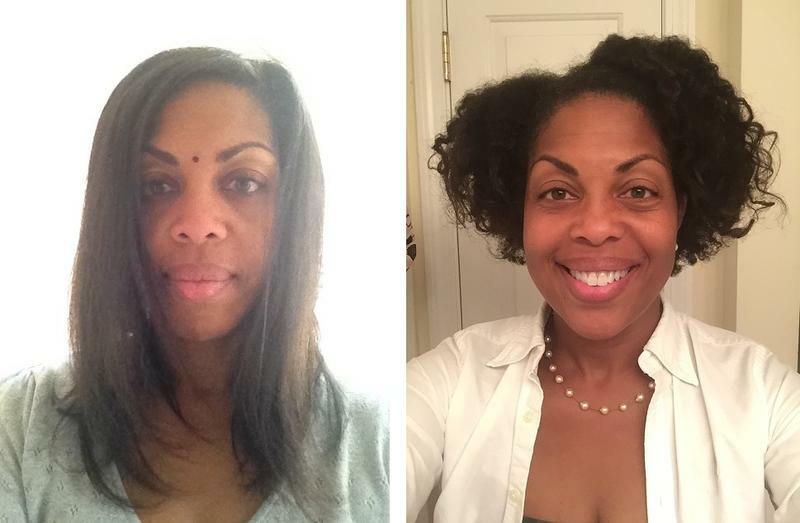 You Asked, We Answered: Where Can a Black Woman Get Her Hair Done in New Hampshire? We Ask, You Answer: What is PEAK New Hampshire? As part of our "Only in New Hampshire" series, we've compiled some of the best stories about our state. The competition is on to find the thing that most captures the spirit of New Hampshire. Voting for each round will begin at 12 p.m. and run for 23 hours. To vote in this bracket, follow @NHPR on Twitter. Hover the mouse over each contender to read the story associated. You Asked, We Answered: Are Potatoes Famous In New Hampshire? "Are potatoes famous in New Hampshire?" 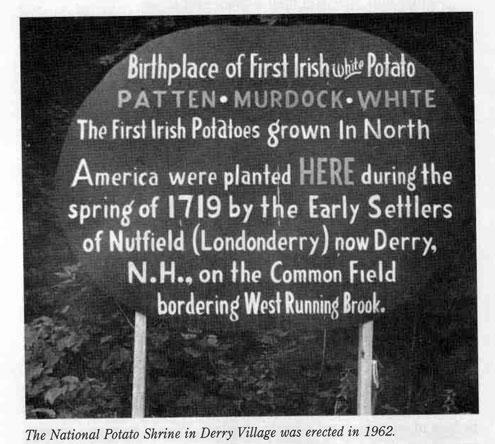 To find out, NHPR's Taylor Quimby took a trip to Derry. You Asked, We Answered: What's The Story Behind Manchester's Cat Alley? In our continuing series Only in New Hampshire, we answer listener questions about oddities of the Granite State and its communities. 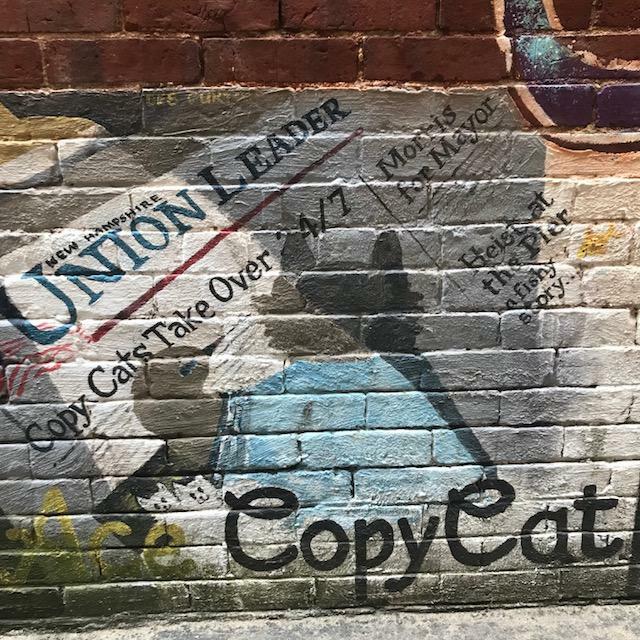 For this story, we fielded one from Karen Rosenberg: What is the origin of Cat Alley in Manchester?" An anarchist, a libertarian, and a Bitcoin enthusiast walk into a bar ... no, it's not a joke: it's likely a gathering of members of the Free State Project. So, just what is the FSP, you ask? 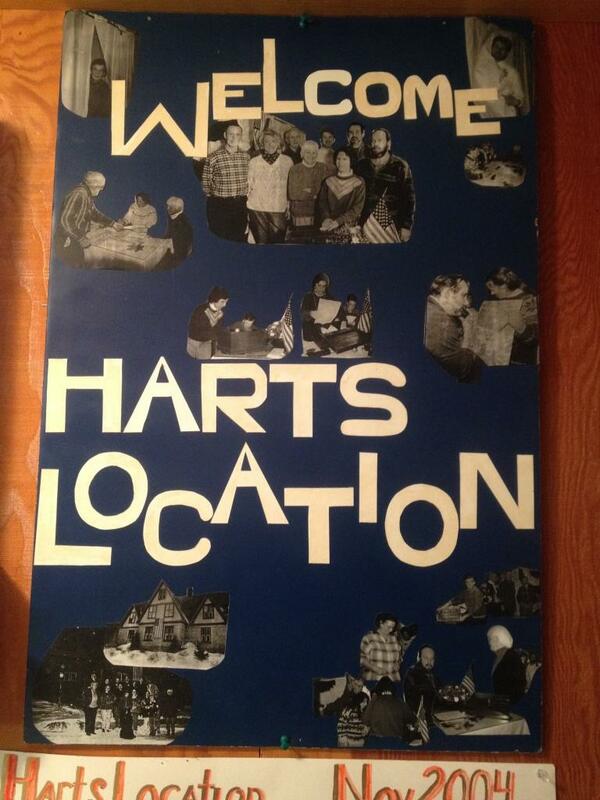 It's a non-profit, a political experiment, a Libertarian mass migration movement, and a difficult-to-categorize spiderweb of connected subcultures—a group that's been confounding long-time residents and recent transplants to New Hampshire for years. This episode is dedicated to answering a single complicated question, sent in from a listener as part of our Only In NH series: What exactly is the Free State Project? For the print version of this story, featuring photos and links to more information, click here (or on the link below). You Asked, We Answered: Why Do People Move To N.H. To Join The Free State Project? As part of our Only in New Hampshire series, we've been getting a lot of questions from listeners about the Free State Project. It's a movement that began almost 20 years ago based on libertarian ideas. The goal is to bring tens of thousands of like-minded people to live in New Hampshire - and influence politics here. Related: Click here to read the long-form story What Is The Free State Project? Our reporters have been diving into the movement and its history. For this story, NHPR's Britta Greene talked with couple currently relocating from Indiana to join the Free State Project. You Asked, We Answered: What Is The Free State Project? On its face, the Free State Project is pretty simple. 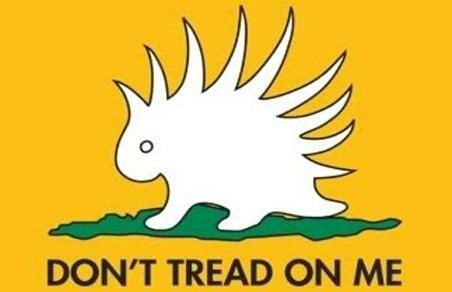 It’s a political experiment, an organization that aimed to assemble a group of 20,000 Libertarians, and move them en masse to a single state, where they can pursue the maximum freedoms of life, liberty and property. But if you’ve heard of the project, you’ll know that defining exactly what “liberty” and “freedom” means to the people involved can be more complicated to pin down. You Asked, We Answered: What's the Smallest Hamlet in New Hampshire? New Hampshire is known for its charming small towns but some places are really, really small. Our listener Samer Kalaf wondered: just how small does it get? You Asked, We Answered: How Many N.H. Businesses are Cooperatives? 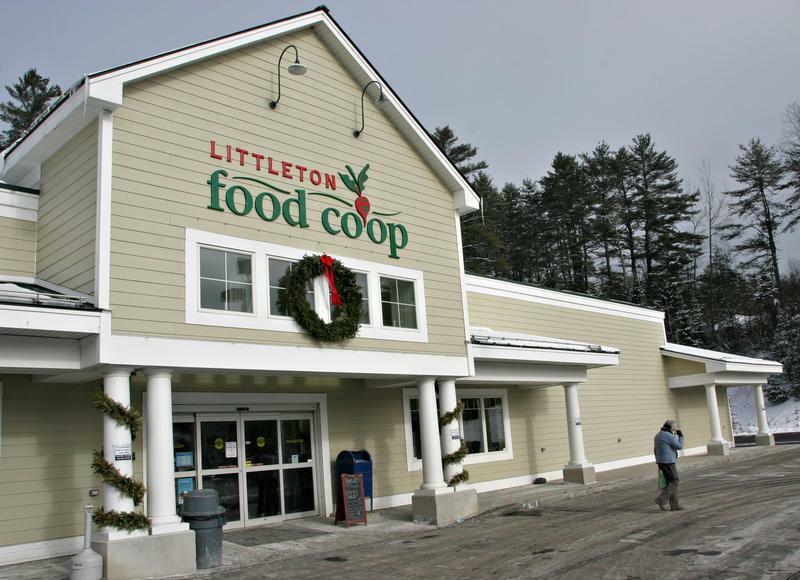 What percentage of New Hampshire businesses are cooperatives? But before we dig into the numbers, we needed a clear answer on what exactly a cooperative is. Which of these subjects is more controversial: New Hampshire liquor laws, regional pizza preferences, or the concept of a broad-based income tax in NH? 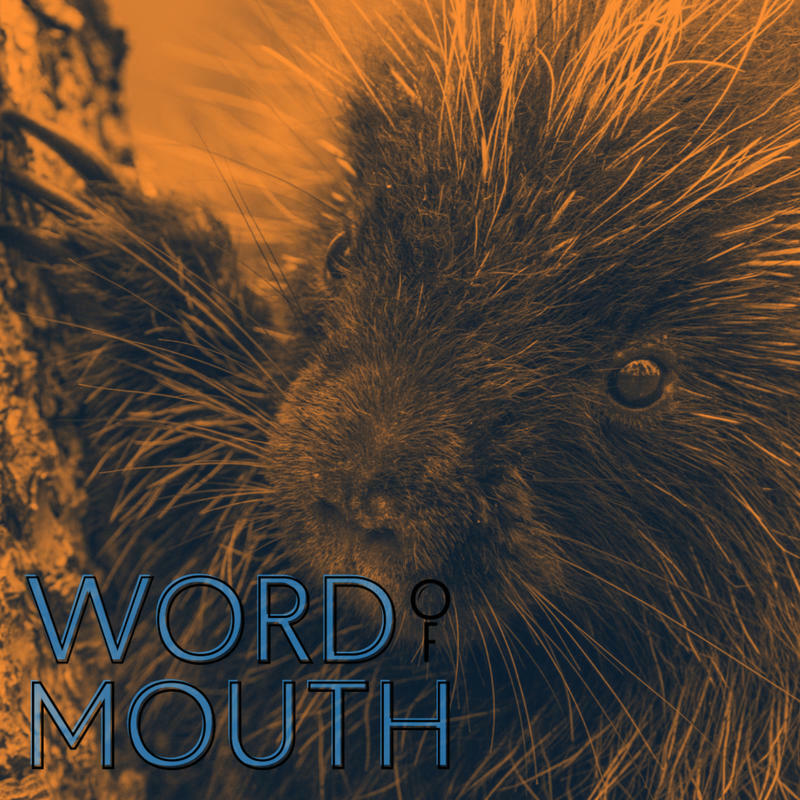 In this episode, we look back at some of our favorite (and most hotly debated) stories from our "Only in New Hampshire" series, where you ask the questions and we find the answers. 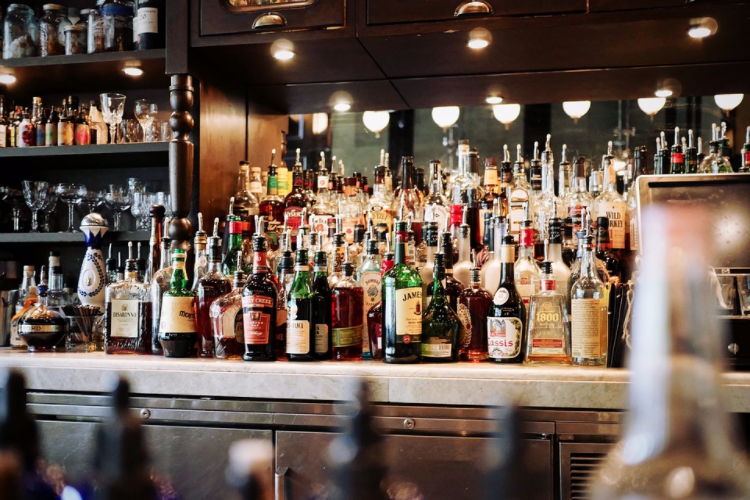 We'll hear about a requirement that bars selling hard alcohol must also serve food. We'll find out why one style of pizza dominates the Granite State, and we'll explore how New Hampshire became known for eschewing the use of broad-based income taxes to increase revenue. Plus, some updates, listener feedback, and behind-the-scenes editorial debates that helped shape these stories. You Asked, We Answered: What's The Story Behind That Mysterious Gravestone In New Boston? The cemetery in New Boston, New Hampshire sits at the top of a hill, what was once the center of town. Now it overlooks Main Street and the Piscataquog River valley. But the cemetery - and one gravestone in particular - still draws visitors. New Boston is a small town on the Piscataquog River, a half hour drive from Manchester. It’s famous for its annual Fourth of July firing of the town’s Molly Stark cannon, perhaps the oldest cannon in the world still in use. 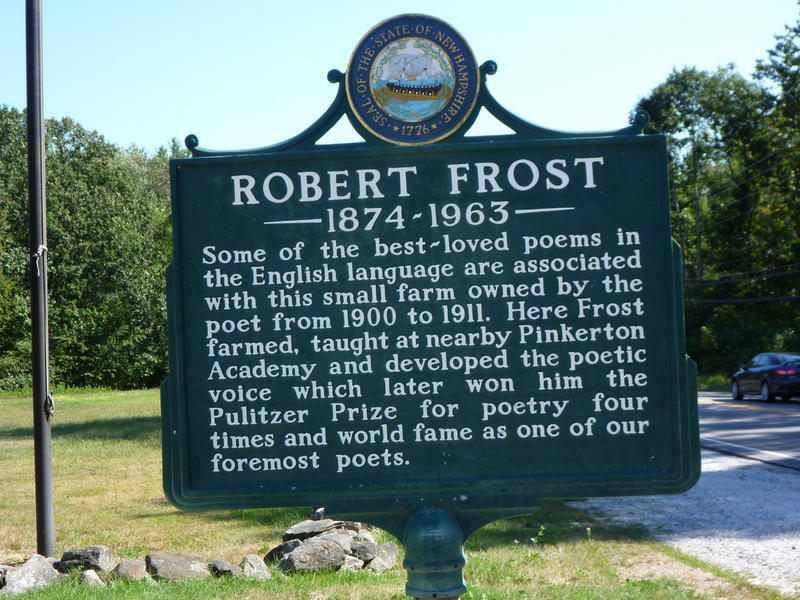 You Asked, We Answered: Where in N.H. Can I Go to Learn More About Robert Frost? Robert Frost is often praised for the colloquialism of his poetry. His work is accessible, exploring complex ideas through scenes and images of rural life. 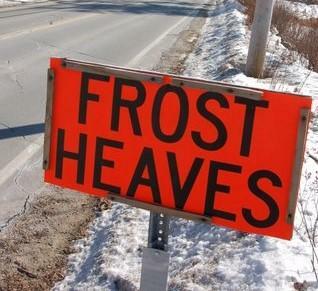 Though he came to typify the region, Frost was not born in New England. His first years were spent in San Francisco, and his adolescence in Lawrence, Mass. In fact, frost didn’t discover rural life until his short-lived attendance at Dartmouth College. But New Hampshire stuck. 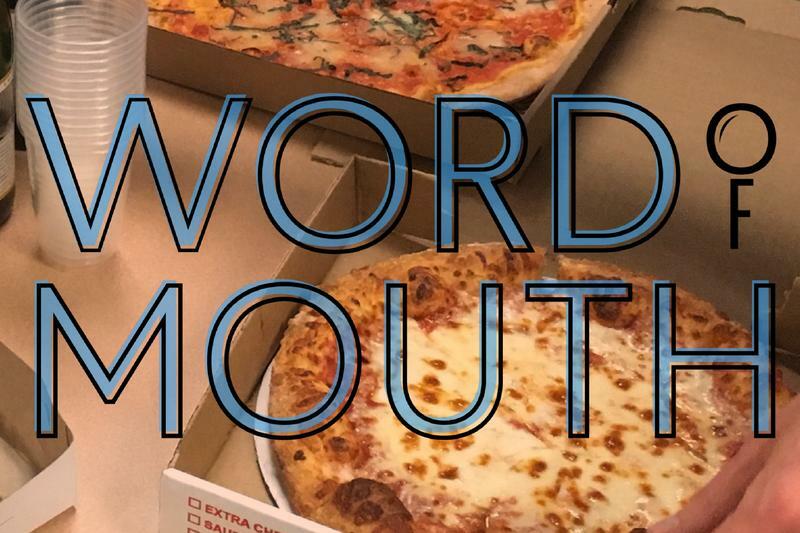 You Asked, We Answered: Why Are There SO Many "Houses of Pizza" In New Hampshire? Matthew Jones from Hudson and I share a common beef with New Hampshire: a serious lack of great pizza. 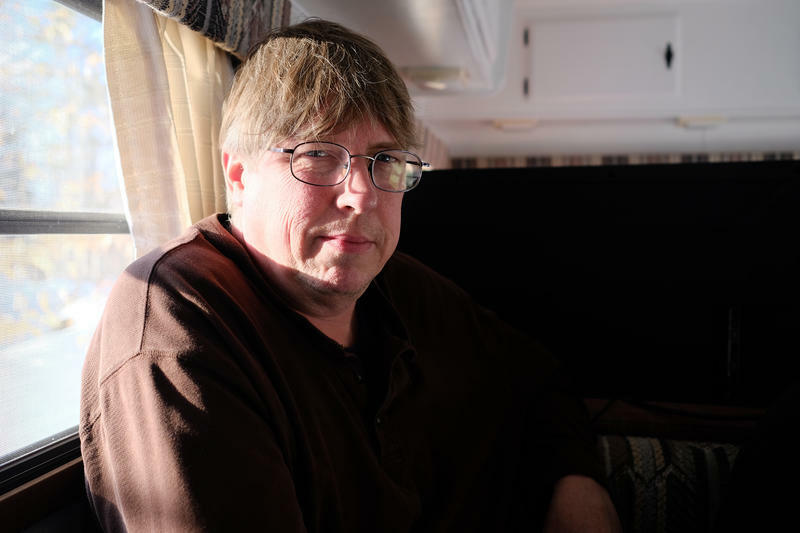 Matthew reached out to us through our Only in New Hampshire project, in which we do our best to answer listener questions about quirks of the Granite State. Why does every town have a House of Pizza? And why is every House of Pizza exclusively the Greek style of pizza? And why is the Greek pizza so popular here? 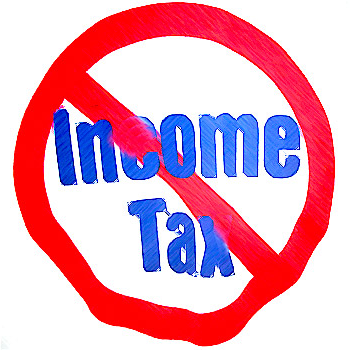 You Asked, We Answered: Why is New Hampshire SO Against Having an Income Tax? The so-called "New Hampshire Advantage" is part of our state's branding. It's about limited government. But maybe more important, it's about low taxes. The state has no sales or income tax, a point of pride for many residents and politicians. But is New Hampshire's anti-tax attitude really so unique? Listen to the broadcast version of this story. Correction: The audio version of this story states that the Mel Thomson "Live Free or Die" song was released in 1976. It was released in 1978. You Asked, We Answered: Why Doesn't N.H. Have a Weather Office? In New Hampshire, it can be a balmy 52 and sunny one day and a "bomb cyclone" of snow and wind the next. It's what you grow to expect as a New Englander. But we still depend on the forecast to make our plans -- and rush to the grocery stores. So how does that work in a state without its own weather service office? In this episode, a look back at the most controversial stories from our "Only in NH" series, where you ask the questions and we find the answers. 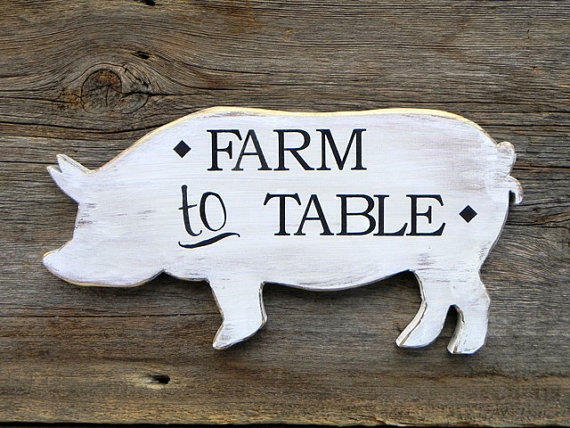 We'll hear about the origin of the famous "Chicken Farmer I Still Love You" rock, get an update on the health effects of inhaling wood-stove smoke, and investigate whether New Hampshire's lack of seat-belt law results in more accidents. 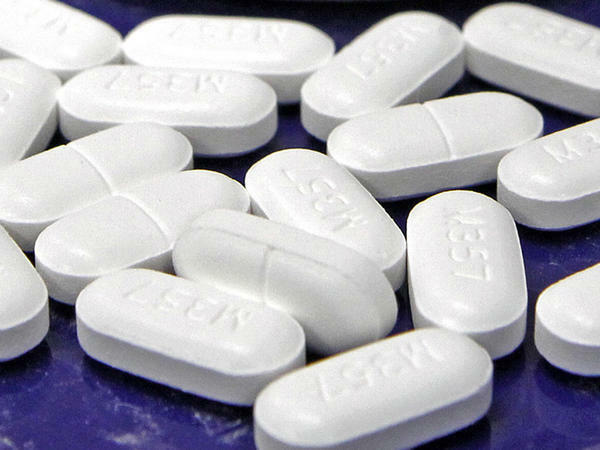 Plus, your feedback on what we got right (and wrong) reporting each of these stories! 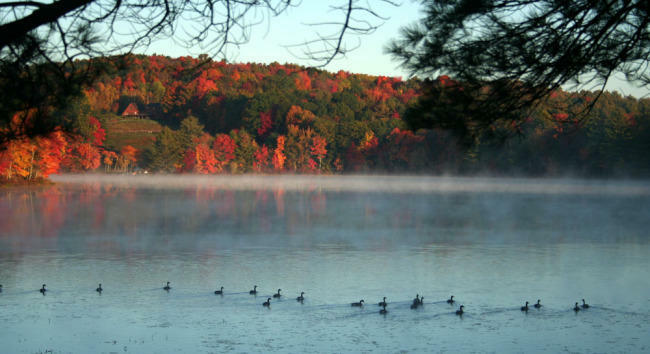 You Asked, We Answered: What Does Northwood, N.H. Have To Do With Thanksgiving? In our continuing series Only in New Hampshire, we tackle listener questions about the Granite State communities and occasionally get the chance to uncover a bit of hidden history. You Asked, We Answered: Why Doesn't Everyone Wear Seat Belts in N.H.? One of the most successful public health campaigns in U.S. history took the form of a nationwide decision to simply buckle our seat belts. We formed that habit primarily because every state in the country passed a law that made it mandatory. Every state, that is, except one. This week for Only in NH, the series in which we answer listener-submitted questions about the Granite State, producer Ben Henry explores our state’s staunch insistence on remaining the unbuckled frontier. You Asked, We Answered: What's Up With That 'Chicken Farmer I Still Love You' Rock? If you’ve ever driven on Route 103 heading up to Sunapee for some swimming or skiing, you might have seen this piece of graffiti on the side of the road in Newbury. It’s on this giant rock right off the highway and it reads: “Chicken Farmer I Still Love You” in big white letters. And it’s been there for decades. As part of our series Only in NH, in which we answer questions from around the state about New Hampshire oddities, NHPR's Paige Sutherland tries to solve the mystery behind the chicken farmer love rock. You Asked, We Answered: How Come No One Knows Wood Smoke Is Bad For You? Summer lingered a little longer than usual this year, with a string of hot and humid days in September and October. Now, temperatures have dipped below freezing and folks are lighting up their wood stoves and fireplaces. 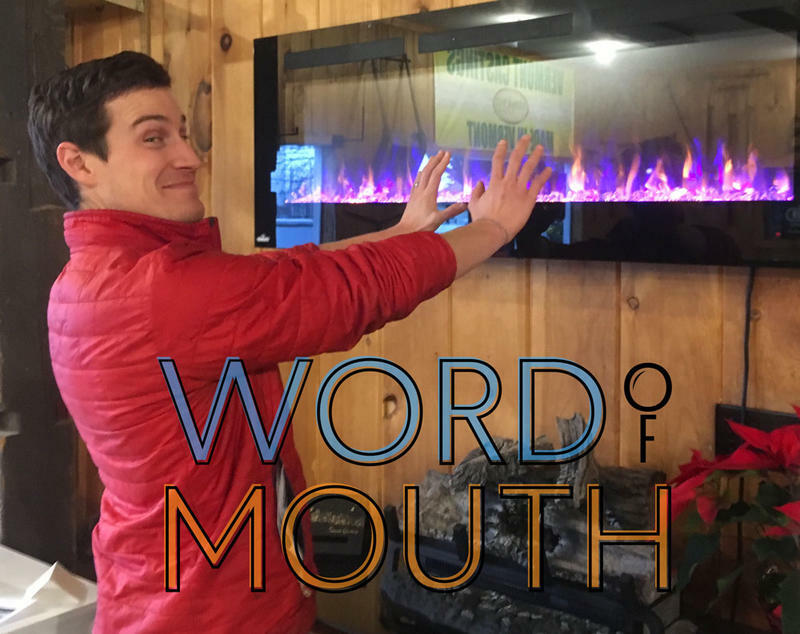 Which brings us to our Only in NH question this week: Evan asked “Why does no one know or care that wood smoke is as bad for you as diesel smoke or cigarette smoke? Virginia Prescott asked Outside/In host Sam Evans-Brown to help us smoke out the facts. You Asked, We Answered: Where's The Best Place To See A Moose In N.H.? 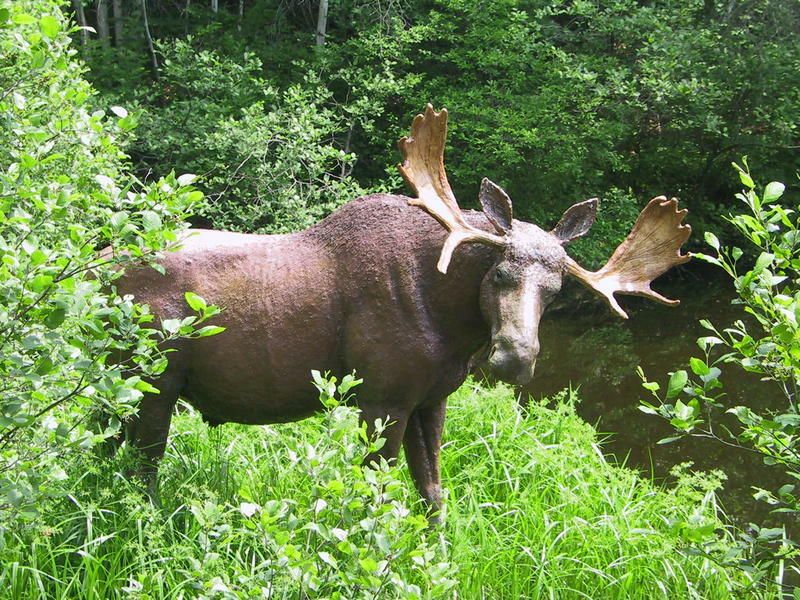 One of New Hampshire's most sought-after animals is the moose - a giant mammal somehow able to straddle the line between majestic, and absurd-looking, with big blunt noses and comparatively spindly legs. Producer Taylor Quimby is on the case. You Asked, We Answered: Does N.H. Have a Signature Food? It is that time of year when Honeycrisp apples are abundant, orchards are packed with families, and the leaves are just starting to turn. 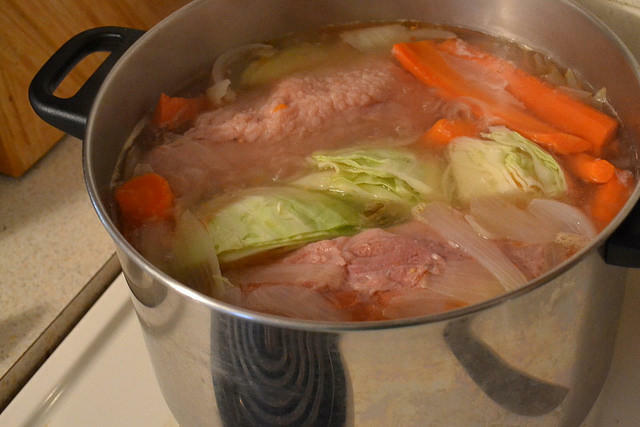 And one of the best ways to celebrate the onset of fall is indulging in New England’s seasonal food traditions. But when it comes to regional foods, what is quintessentially New Hampshire, and what’s just New England-y? You Asked, We Answered: Why Does Portsmouth Shut Down at 9 p.m.? New Hampshire has long been graying. And without a major metro area that draws young adults, it can reinforce a stereotype of the state as that quiet, bucolic territory in the middle of New England. With that in mind, one listener asked our Only in NH series: Why does Portsmouth shut down at 9 p.m.? 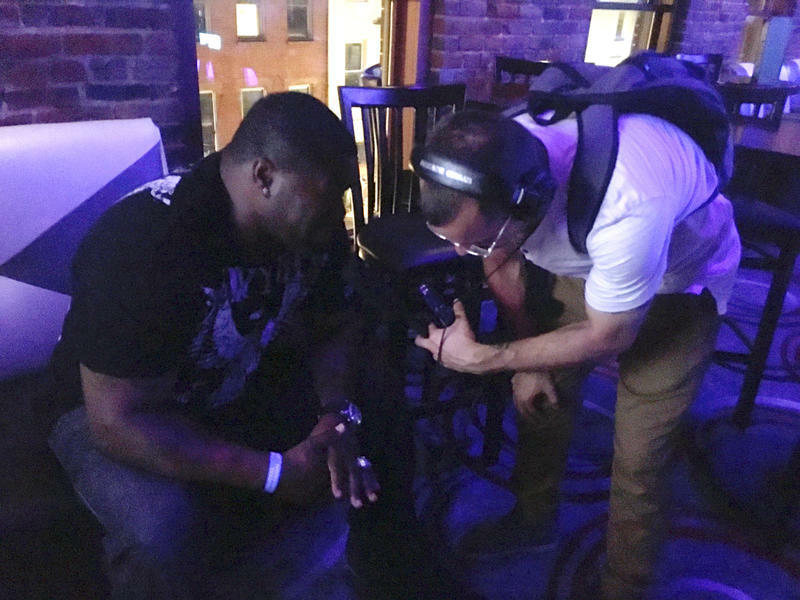 NHPR’s Jimmy Gutierrez stepped out for a night on the town looking for answers. It's a question often asked in some towns. But Portsmouth? Doesn't the Port City have a bustling night scene?